Miami Navy Week will focus a variety of events, equipment and personnel for a week-long series of engagements with the public, key influencers, and organizations representing all sectors of the community. 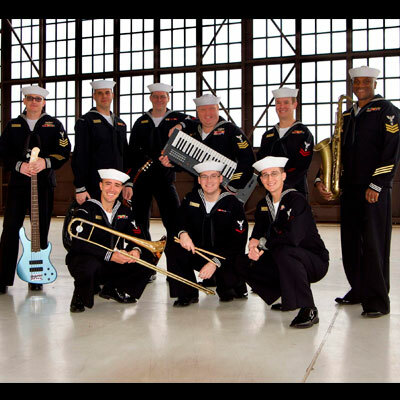 Navy Band Southeast’s Popular Music Group, “Pride” is a high-energy unit with a repertoire spanning 50 years. 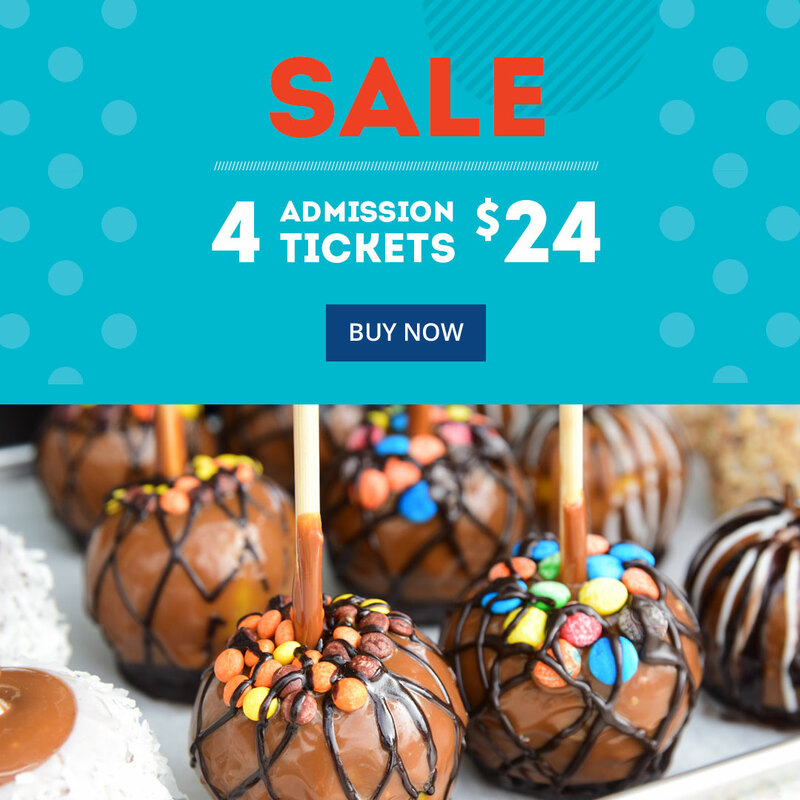 The ensemble remains on the cutting edge of today’s popular music scene by choosing a variety of selections each year from current Top 40 charts. Navy chefs from the warship USS New York are excited to participate in culinary battle against chefs from Miami Youth Fair sponsor, Sedano’s Supermarkets. 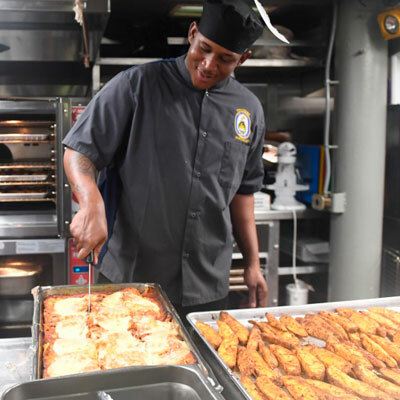 Typical days for these Navy culinary specialists typically involve meal prep and cooking for several hundred hungry Sailors and Marines, and they’re looking forward to showing their chops. 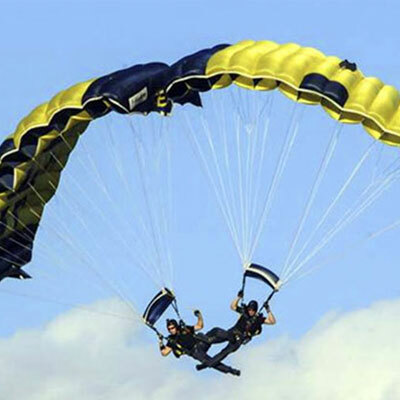 Members of the US Navy Parachute Demonstration Team “The Leap Frogs” will be jumping into the Miami Dade County Fairgrounds at the Darwin Fuchs Pavillion. Following the jump, the Leap Frogs will spend some time interacting with guests at the fair. A special group of teenagers will make a commitment in front of their friends, family, and community to serve their nation. 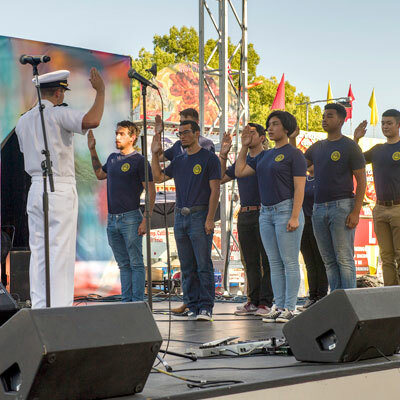 These teenagers, part of the Navy’s Delayed Entry Program, will be sworn into the Navy at the Boulevard stage. Talk and interact with Sailors from your Recruiting District Miami in the fairgrounds. 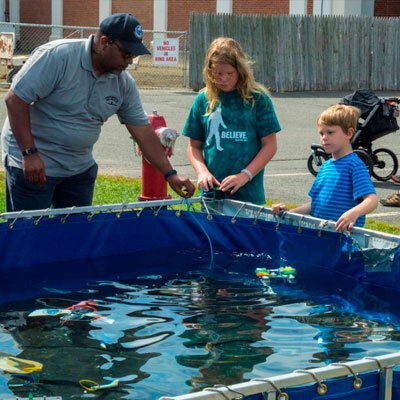 Sailors on-site can answer your questions about the Navy, and visitors can interact with the underwater SEAPERCH robots to navigate an obstacle course.